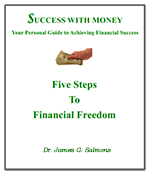 Success With Money is an educational site representing the views of its owner and any others as specified on the site. Every effort is made to provide up to date, carefully researched information in formulating the articles on this site but no liability should be construed for any actions based on the accuracy, completeness or timeliness of its content. Information on the site is not intended to give specific, professional advice to any individual or organization. Individuals should consult with their own legal, tax, and investment advisers for recommendations related to their own personal circumstances. Users of the site do so at their own risk. Any suggested return on investments included here are representative of previous performance. Past performance is no guarantee of future performance in any investment. Descriptions of investments and financial companies on this site represent the research and experience of the writer at the time of writing. This should not be taken as reflecting current conditions and individuals should determine current offerings and the viability of any companies, organizations, or investments described on the site before deciding on any financial involvement.